1. Not everyone selling cars in Japan is honest! I know it may sound unbelievable, but not all car dealers are honest and that goes the same in Japan. They can be dishonest in various ways: about the quality of the car, about the kms of the car, and even perhaps about the very existence of the car. That is why we recommend, strongly, that you buy through the auctions. 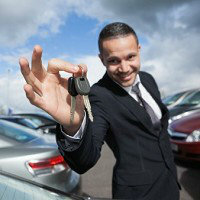 The auctions give an independent evaluation of the vehicle. The auctions have a tracking system to prove whether the car has had its odometer tampered with. 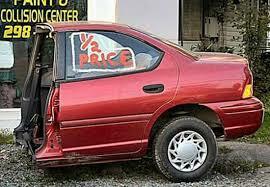 You need no proof of the existence of the vehicle when you see it in an auction. We also recommend, before you purchase your vehicle, that the company you are purchasing from is registered with JUMVEA. 2. Just because an exporter is a member of JUMVEA (Japan Used Motor Vehicle Export Association), it doesn’t guarantee honesty from the exporter. JUMVEA is not a policing institution for the exporters but rather an institution created to help the exporters. They have neither the ability nor the manpower to check on the honesty or integrity of the exporters. 3. 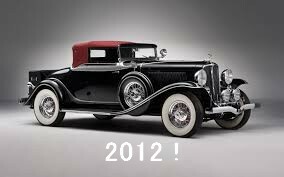 Japan recognizes the age of a vehicle, not when it was made but when it was first registered. Sometimes these dates vary by a large degree. A vehicle may have been made and then be sitting on a dealers yard for a year before it was sold. Once it is sold, then it gets its official age, and that age starts on the date of sale (or more literally “registration”). If date of make is important to you than date of first registration, let us know and we can find the date of make for you before you purchase. 4. 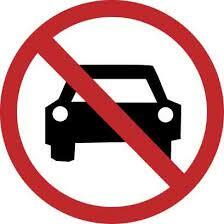 Just because a dealer has pictures of a car, even many pictures, doesn’t guarantee he has a car to sell you. Unfortunately, we have heard many stories of people buying a car from a dealers stock, transferring money to him, and then never hearing anything afterwards. It does happen. Some of these so called exporters even go to the length of hiring an official office to complete their deception.This is why we recommend purchasing through the auctions, cars YOU can see. 5. There is usually a reason why a car is cheap. There is always a reason why a car is cheap. Some real reasons can be “flood history”, “crash repair history” or “adjusted odometer”. Again, purchasing from the auctions protects you from all of the above. You may have to pay market rate for a real vehicle though. 6. Rust is not an issue in Japan for a warrant of fitness, but it may be in your country. 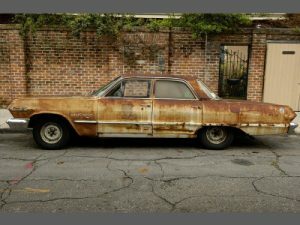 Be very careful before purchasing to know that the car is free from rust underneath. Especially cars from the northern areas where salt is put on the roads to melt the snow in winters. 7. Odometers are digital now, so there is no odometer tampering? No, don’t believe it. It has just become more difficult to trace tampering. With a diagnostic computer many cars exported from exporters “stock” could have been tampered. Again, buying from an auction guarantees your exporter has not tampered with the odometer. Provide Cars sources Japan cars, trucks, buses, SUVs and vans from over 115 Japanese car auction locations from Hokkaido in the far North of Japan to Okinawa in the far south. Sign up for a free 14-day trial account to see the vehicles that Provide Cars can buy for you from the Japanese car auctions. Interested in getting started bidding on Japan car auctions and buying from us? Get started here.